1.3版本无法升级，提示是这个 - 双点医院 - 游侠NETSHOW论坛 - Powered by Discuz! 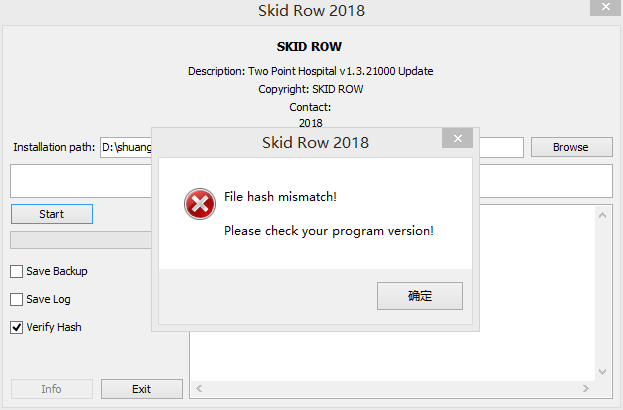 File hash mismatch! Please check your program version! GMT+8, 2019-4-27 00:48 , Processed in 0.270311 second(s), Total 20, Slave 14 queries , Gzip On, Memcache On.